Welcome to the Failte Hotel Killarney. 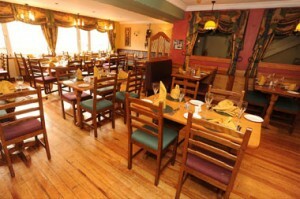 The Failte Hotel, located in the heart of Killarney, is owned and operated by the O’Callaghan family. It is located adjacent to a public carpark, the railway and bus stations, the cinema, shops, and late night clubs for those that want to party late into the night in Killarney town. Local amenities include golf, fishing, horse-riding, boating and walking in the magnificent Killarney National Park. Let us arrange your tour for you. Enjoy Good Pints, Great company, Live Music and Great Food – food served all day in the bar, and also available in our Award Winning Restaurant. The Failte Restaurant introduces you to the finest in contemporary cuisine. We combine the rich culture of the Mediterranean, the Oriental cuisines along with the flavour of modern Irish cuisine to cater for a variety of tastes. 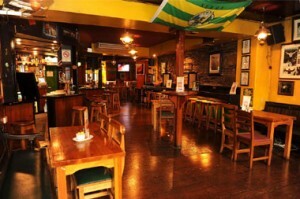 The Fáilte Killarney Bar is a popular bar amongst both locals and tourists, with a fantastic selection of beverages. Bar / Pub food is served daily. Enjoy our energetic atmosphere and make your evening out one to remember. We enjoy repeat custom and ensure that our standards are kept very high. Our bar is a perfect blend of authentic old irish pub, with contemporary styles and standards. Just come and visit us to see why we’re one of Killarney’s most preferred pubs!